The EU's new medtech regulations introduce much more comprehensive post-market clinical follow-up requirements for device and diagnostics companies. What do they entail, and why are there problems in understanding what will be required? Consultant Sarah Sorrel offers insights in an interview with Medtech Insight. Post-market clinical follow-up (PMCF) is a relatively new requirement for the EU medtech sector. 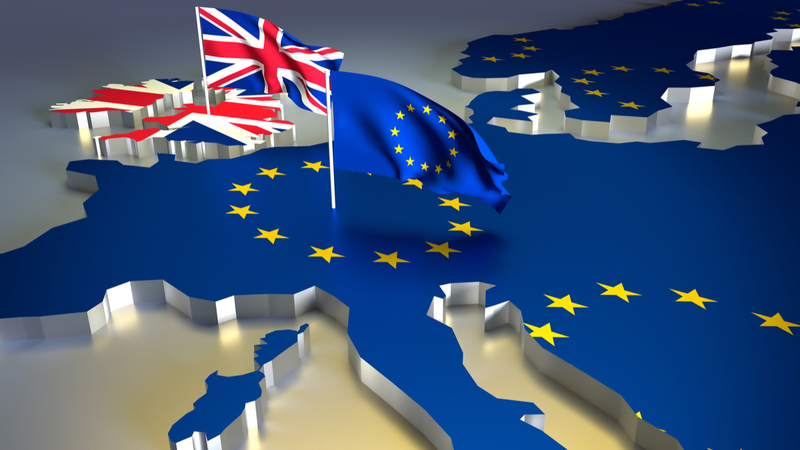 It is detailed for the first time in the EU's new Medical Device and IVD Regulations. In this interview, Sarah Sorrel, a leading EU expert and consultant on clinical data issues, discusses with Medtech Insight what PMCF will entail. Sorrel, president of MedPass International, also addresses how slow implementation of the new regulations is making it difficult for manufacturers to put post-market plans into place and to leverage the potential value of PMCF to help obtain recertification of devices under the new regulations. Sorrel previewed some of the themes that will be highlighted next month at the 3rd European Symposium on New Medical Device Regulations, in Brussels, where she will be speaking about the challenges manufacturers are facing. "PMCF shall be understood to be a continuous process that updates the clinical evaluation … and shall be addressed in the manufacturer's post-market surveillance plan. When conducting PMCF, the manufacturer shall proactively collect and evaluate clinical data … with the aim of confirming the safety and performance throughout the expected lifetime of the device, of ensuring the continued acceptability of identified risks and of detecting emerging risks on the basis of factual evidence." Medtech Insight: To what extent is post-market clinical follow-up required under the MDR and how does this compare to what is currently required under the EU directives? Sarah Sorrel: Without the delegating acts, it is not entirely clear when PMCF will be mandatory under the MDR. This is a problem for manufacturers who need to plan now and to decide whether the cost of PMCF would warrant taking certain products off the market in view of the increased cost of compliance. There is a new safety reporting requirement for all devices (except class I) called the Periodic Safety Update Report, PSUR. The PSURs are required at least every year for class III devices and class IIb implantables and at least every two years for class IIa devices and class IIb non-implantables. According to the regulation, the PSUR is based on the PMCF, so in theory a PMCF would be required for all of these classes of device. On the other hand, elsewhere in the regulation, it is stated that some products can be exempt from PMCF if duly justified. Clarification is needed urgently to address this apparent contradiction. It is important to note, however, that the requirement for PMCF under MDR does not necessarily mean that clinical studies will be required in all cases to collect clinical data, which is what is currently understood as PMCF under the current directives due to the wording in the meddev guidance document. Under the MDR, the definition is much broader and relates to all types of clinical information. PMCF under the regulations is much broader and includes any clinical information, such as vigilance, complaints, technical information and publicly available information whereas PMCF under the directives is very much focused on PMCF studies and clinical data. It is important to understand this difference especially in the context of lower classes of devices. Indeed, it is vital to take in this distinction as it can make communication difficult if people do not understand the semantic differences. The notion of PMCF was first introduced in the guidance document on post market clinical follow-up studies meddev 2.12 rev 2 and this is the background for how it was introduced in the context of the directives. Is there an equivalent requirement to PMCF for IVD products under the IVDR? Sorrel: Yes, the IVDR introduces the notion of clinical evidence based on clinical performance. It is referred to as post-market performance follow-up, PMPF. In the case of IVDs, PMPF studies are usually only needed in the case of novel products because for most other IVDs, clinical performance can be established through analytical testing and literature reviews. Sarah Sorrel is one of a group of top experts and speakers in the medtech sector who will be speaking at the 3rd European Symposium on New Medical Device Regulations in Brussels, which will take place October 22-23, 2018, in Belgium. The conference is entitled Impact on Industry – The Race to Achieve Compliance by Deadlines. The meeting, known as RMD2018, which will also feature Medtech Insight's Amanda Maxwell as a speaker, will address the challenges to reaching compliance with the new regulations for all players. It will also focus on the implementation of the regulations in key areas such as clinical data, vigilance, and traceability. What happens if a company has a legacy product. Does it need to perform PMCF? Sorrel: A legacy product is one that will have been on the market for a long time. It is typically one that has been CE marked based on the market history of the product and on equivalence to other similar products. This creates problems under the MDR, especially in the case of the higher-risk class III and class IIb implantables because when manufacturers recertify their products under the MDR, they need to present "sufficient" clinical evidence. The problem is that we do not know what constitutes "sufficient" clinical evidence. The Clinical Investigation and Evaluation (CIE) working group is working on guidance to explain this term and it could not be ready soon enough. Information that is obtained through what would effectively now constitute PMCF is critically useful in such cases. For legacy products, manufacturers must search for all data on their products and weigh up and see if it meets the MDR requirements for sufficient clinical evidence. This means that they will need to do an inventory as soon as possible of whatever clinical data is available on their device. This could come, for example, from national registries of implants, investigator reports, sponsored studies, other clinical studies performed on the product in other geographic jurisdictions. Once they have this, they need to do a gap analysis between what clinical data they have and what is needed and then put into place a PMCF study. Are there any clear exceptions to these PMCF requirements for any products? Sorrel: It is important to point out that PMCF is very much related to risk and the biggest challenges are for the highest risk class III and IIb implantables. But there is a whole group of class IIb implantables, known as "well-established technologies" that are listed as exempt from clinical investigation for CE marking under the MDR, and therefore presumably from PMCF. These are sutures, staples, dental fillings, dental braces, tooth crowns, screws, wedges, plates, wires, pins, clips or connectors for which the clinical evaluation is based on sufficient clinical data and is in compliance with the relevant product-specific common specifications, where such a CS is available (Article 61). But, then again, there is an issue with what is “sufficient clinical evidence.” The MDR says that the European Commission will adopt delegated acts to amend the list in Article 61 so we can hope that the Commission will be realistic and extend this list to the maximum. But it is difficult for companies to move forward while this list is not complete, while the common specifications are not yet available, and we have no idea of the timing when these will be ready. What type of studies can be considered for PMCF? Can off-label use in the post-market phase be used to extend indications? Sorrel: Many manufacturers are very keen to use off-label use of products in their clinical data but this is totally excluded. Indeed, off-label use is banned in both the directives and the MDR and under the MDR one specific goal of PMCF is listed as detecting off-label use. So, if a company believes there is merit in what they have witnessed in unregulated off-label use, then it needs to do a pre-market investigation to obtain relevant clinical data and its study must be designed to meet the objectives of the PMCF plan too. The most important thing is that a study is properly designed to collect the clinical information that is needed. When it comes to investigator-sponsored studies, one of the difficulties is that the sponsor, or manufacturer, may not necessarily be in control of how the study is being run, exactly what is being done and if the product is being used correctly. Such studies are therefore hazardous for the manufacturer as they may not result in the appropriate basis for producing valid data, and this would be particularly risky in the case of data being produced for class III or class IIb implantable devices, which had already been CE marked under the directives based on equivalence and not on clinical data produced by the manufacturer. We have already heard of one notified body refusing the data from an investigator-sponsored study as it was not conducted in strict compliance with the international clinical investigations standard, ISO 14155. What happens if a company has a novel product that was approved on equivalence? Is PMCF required? Sorrel: A PMCF study, sponsored by the manufacturer, is required for a novel product that was CE marked based on clinical data from an “equivalent” device. Manufacturers should be aware that the clinical data from the PMCF study in such cases will be crucial to ensuring that the product can be recertified under the MDR without further clinical data. This is particularly critical for class III and IIb products which may be subject to the added need for "scrutiny" of the clinical data by experts appointed by the European Commission, another factor to bear in mind is what will be needed to pass this scrutiny. But there is not enough information yet. We don't know what sort of a trial design and what end-points are needed where products are subject to scrutiny nor how to get validation for a study for a novel product for such cases. This will all be down to the what is decided by the European Commission's Medical Device Expert Group. But this group was only recently set up and has not produced any such information yet – although more clarity is expected by the time the MDR is in full effect. There is a particularly urgent need for this information since it takes a long time to design, gain approval and implement a clinical study. Indeed, this entire process can take from six to nine months or more. What do companies need now to help them prepare for PMCF/PMPF ie forms, guidance, implementing acts, Eudamed? How far can they prepare for compliance without these being available? Sorrel: For medical devices, the latest European Commission guidance document on clinical evaluations, Meddev 2.7/1 rev 4, goes about 80% of the way toward helping companies understand clinical data requirements of the Medical Devices Regulation, so manufacturers can make extensive use of this document in their preparation. But they need to be aware that the key item that is missing is an explanation of what is "sufficient clinical evidence". For IVDs however, there is no similar guidance at all under the current regulations The best advice is for manufacturers to read the new regulations, reassess all their clinical data in the light of these, and then identify any gaps which might be filled now under PMS or PMCF. PMCF is one aspect of monitoring safety of devices in the post-market phase. How does this feed into the requirements for periodic updates to Clinical Evaluation Reports and Periodic Safety Update Reports (PSURs)? The results of PMCF under the MDR are an input into the PSUR, which also includes a re-evaluation of the risk-benefit profile of the device and the volume of sales. This sales volume puts into perspective the accuracy of the risk-benefit evaluation. We would advise having a clinical expert review and sign off on PSURs as this is a key document demonstrating compliance with the regulations and which also must be made public on the EUDAMED database.